Nationwide, fatal hit and run crashes have been increasing since 2009, reaching an all-time high in 2016. Some 2,049 people were killed. In nearly 65 percent of cases, pedestrians and cyclists were killed. All 50 states have hit and run laws, which make it illegal for drivers to leave the scene of an accident. According to the Telegram & Gazette of Worcester, there were 186 hit and run crashes involving death in Massachusetts over the 10-year period from 2006 to 2016. In Massachusetts, leaving the scene of an accident is against the law, under M.G.L. c. 90 § 24 and M.G.L. c. 90 § 26. Drivers can face potential jail time for leaving the scene of a car accident resulting in property damage, even if there is no injury. When there is injury and death, drivers face higher penalties, including up to 10 years in jail if someone is killed. Beyond the punishment, drivers have a moral obligation to stay at the scene, make sure the victim receives medical attention and help police with their investigation. When they flee, victims have to wait for medical care and the delay could cost them their lives. In Massachusetts, just in the past month, several pedestrians have been killed by the negligence of hit and run drivers. In Medford, a real estate agent was walking along Spring Street, when she was fatally struck by a teen driver who was allegedly under the influence of a drug, according to Boston 25 News. The teen – who was operating with a learner’s permit – kept going, then collided with two other people. They were injured, but survived. Their dog was killed in the crash. Police also responded to tragedies in Lawrence and Revere. In Revere, a woman was struck while walking on Revere Beach Parkway. As she was treated for critical injuries, police searched for the driver. Police in Lawrence made the arrest in a hit and run crash that seriously injured a 30-year-old woman. The 24-year-old driver is accused of operating under the influence when he crossed an intersection, hitting the woman in a crosswalk. Along with motorists, truck drivers cause an increasing number of hit and run crashes each year. Cyclists and pedestrians can be cut off by trucks and swept under, causing catastrophic injuries and deaths. In Massachusetts, bicycle advocacy groups have pushed for legislation requiring trucks to be outfitted with sideguards. The City of Boston has passed its own truck sideguard regulations. Drivers who operate rideshare vehicles, such as Uber and Lyft, taxicabs and buses can also cause hit and run crashes. Hit and run crashes can also be caused by teenage drivers, who have less experience and have higher accident rates than other drivers. As a driver, the best thing you can do is commit to pay attention on the road and travel slowly, giving yourself more time to respond. Turn your cell phone off. Follow traffic laws and look for cyclists and pedestrians on the side of the road. Take special care not to cut cyclists off when turning at intersections. When fatigued, do not drive. Finally, if you are in an accident, do not run. Help the victim by calling 911. That has to be the priority. 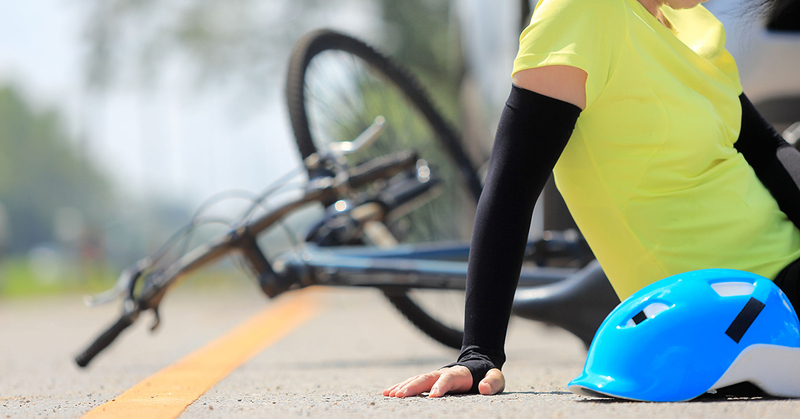 With more than 100 years combined experience, the lawyers of Breakstone, White & Gluck are experienced in representing cyclists and pedestrians who have been injured in motor vehicle and truck crashes. Our attorneys represent clients throughout Massachusetts, including in Boston, Cambridge and Quincy. We are known for our prompt investigation and aggressive representation for our clients. If you have been injured, learn your rights. For a free legal consultation, call 800-379-1244 or 617-723-7676. You can also use our contact form.